When we heard a new “Ghostbusters” film was being released, many of us felt somewhat nostalgic with memories of early 80s hairdos, fashion, music, and the classic “Ghostbusters” film, an icon of the decade. You may have recalled seeing the movie – in standard definition, gasp! – with your friend, or some of your favorite characters like the Stay Puff Marshmallow Man. “Ghostbusters” is without a doubt a legendary and loved film series for many. Now in theatres, the new “Ghostbusters” are still who you’re gonna call, and cultural icons, like Slimer, make a reappearance, using the latest visual effects technology. 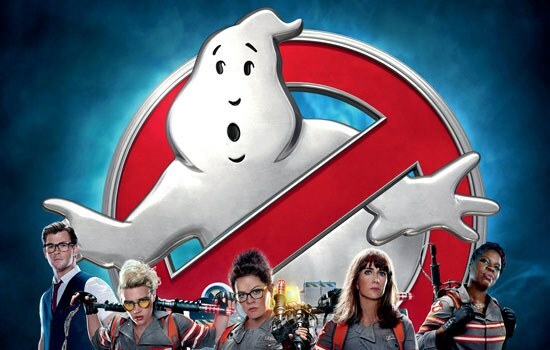 The film features an all-star cast including Melissa McCarthy, Kristen Wiig, Kate McKinnon, Leslie Jones, and Chris Hemsworth, and with visual effects that have significantly progressed since the introduction of the original “Ghostbusters” film in 1984. How did visual effects house Sony Pictures Imageworks, who helped take on such a high-profile project, balance the excitement of modern day visual effects while maintaining the character of the classic film? Dell technology helped play a role. As for Slimer, “He was originally a puppet in the first film. Our team had to recreate his character digitally, and were challenged by his blubbery skin, slime and ghostly animations. Overall, Slimer required substantial time from 120 talented VFX artists,” according to Travers. Sony Pictures Imageworks, one of the visual effects studios that worked on the new film, relied upon the Dell Precision Rack 7000 (7910) -workstation with Teradici PCoIP to drive a remote workflow that saved both time and complexity, resulting in more shot iterations and a superior product. Dell Precision in conjunction with PCoIP enabled the team to get more of the client's budget directly up on to the screen. Over More than 1,000 Dell Precision workstations powered by Intel processors and Nvidia K2200, M4000 and 24GB M6000 Quadro graphics cards were used by Sony Pictures Imageworks. The project was rendered using multi-generation Dell PowerEdge servers with Intel processors. A large Dell-powered render farm afforded the Sony Pictures Imageworks ultimate creative control and enabled them to explore a number of different creative directions throughout the filmmaking process. The ability to render at a very large scale also allowed Sony Pictures Imageworks to respond quickly to changing needs from the studio. “Given the short timeframe by which we were required to create the VFX for the movie, it would not have been possible just a few years ago without the tremendous increase in processing power and storage we have today. Improvements in technology continue to open up possibilities and feed the imagination,” noted Travers. Whether you grew up on "Ghostbusters" or this is your introduction to the series, be sure to go check out the new movie!